As a long-running fan of practical jokes, I love April Fools’ Day. 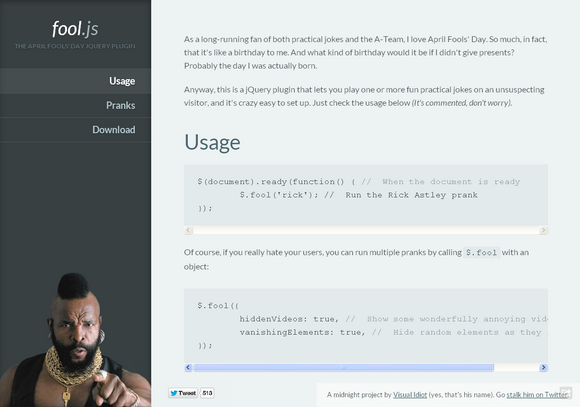 Fool.js is a jQuery plugin that lets you play one or more fun practical jokes on an unsuspecting visitor, and it’s crazy easy to set up. There’s a whole range of fun options to use. The download link on the site was broken somehow. You can grab the source code here on Github. Have fun!